Police officers and electoral justice officials unleashed a full-scale operation in public universities all over Brazil, which brought a reaction from the academic community and public interest organizations. The measures, related for the most part to political advertising control, have been happening in higher education institutions in several states. Critics are calling them censorship attempts. In Rio de Janeiro, the court mandated that UFF's (Federal University of Rio de Janeiro State) Law School take out a flag that read "Law UFF - Antifascist." The flag was taken down on Tuesday (23th), without any warrant, but students later put it up again. 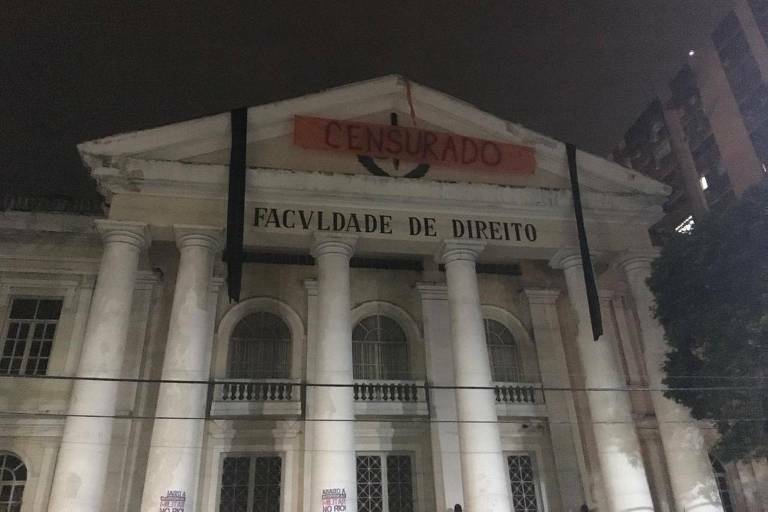 At Uerj (State University of Rio de Janeiro, a different institution), there was a warrant to take down banners honoring city councilwoman Marielle Franco (PSOL), murdered last March. There were other similar accounts at Unirio. The Rio de Janeiro chapter of the Brazilian Bar Association (OAB) released a statement with its "disavow" to "Electoral Justice Decisions that try to censor the freedom of speech of law students and professors." The organization also said that "the free demonstration of opinion, with no alignment to candidates or political parties, can't be mistaken for political advertising." In Rio Grande do Sul, the Electoral Justice barred an event called "Against Fascism. For Democracy", claiming it would be a campaign rally inside a government-funded institution, which is forbidden by Brazilian law. On Thursday (25th), protesters held a demonstration against the decision. One of the protesters allegedly there, former governor Tarso Genro (PT), said he felt censored and claimed that even during the military dictatorship he held conferences and lectures. In Paraiba, there were operations in three universities. On Thursday morning, federal police officers went to Professors Association's office in the Campina Grande Federal University. They had a search warrant for flyers called "Manifest In Defense Of Democracy And Public Universities," as well as other materials supposedly in favor of Fernando Haddad (PT). The association denies that any action was favoring either presidential candidate and says the flyer was manifest defending democracy in general.